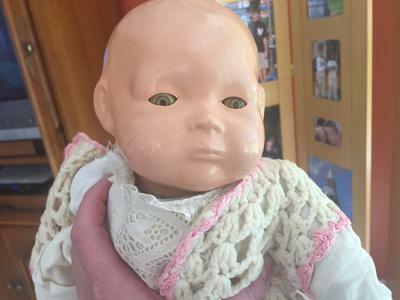 This was my great grandmothers' doll. It is approximately 12 inches from head to toe. The body is cloth. The head and hands are porcelain. The dolls' hair is painted on. The eyes close when you lay the doll down. 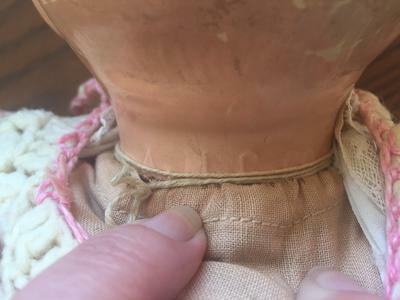 There is also a round disk in the center of the back of the doll under the cloth. 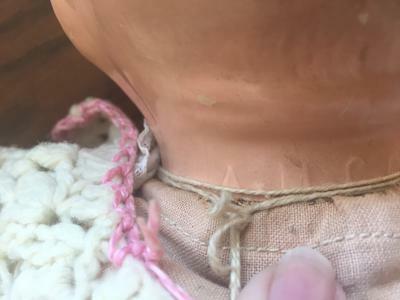 On the back of the neck, the markings appear to be A U C CO. The 2nd letter is hard to see. I tried my best to take a good picture. 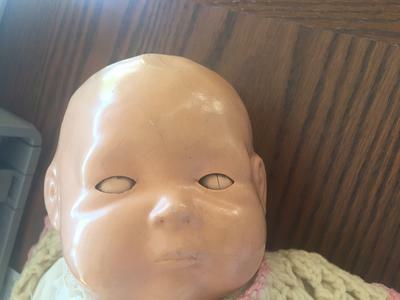 I'd like to find out how old this doll is and if it has any value. It is not in the best condition (one of the hands needs to be reattached) and the hands and head have some cracks. Thank you!! !